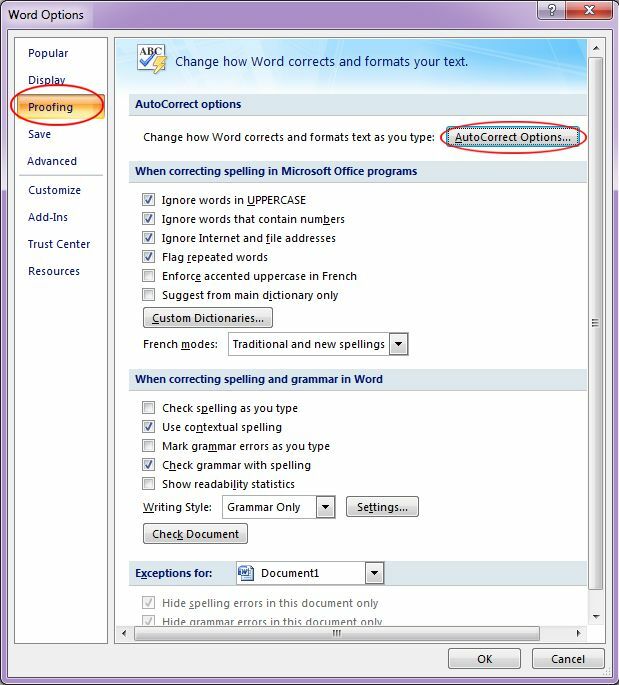 Learn how to add or remove text from the AutoCorrect function of Microsoft Word 2007. This is a very advantageous tool which you can use to the fullest. Unless you or someone else has messed with the AutoCorrect settings, the invisible hand of Word corrects certain typos as you enter them. Try misspelling weird by typing wierd to see what happens. Try entering two hyphens (--) and you get an em dash (–). 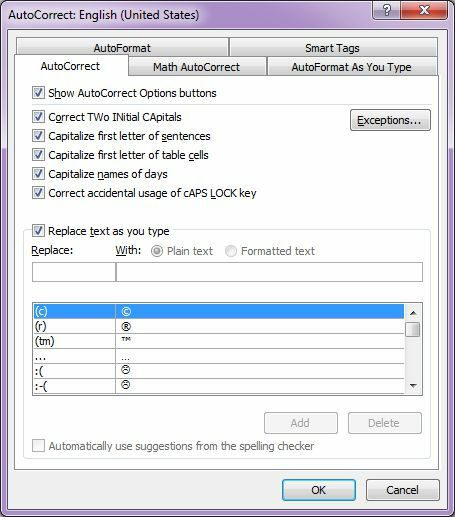 You can have Word correct the typos that you make often, and with a little cunning, you can even use the AutoCorrect feature to enter long company names and hard-to-spell names on the fly. You can use AutoCorrect to correct your typos on the fly. 3. To the right of the window, click on the AutoCorrect Options button. 4. This command opens the AutoCorrect dialog box, click the AutoCorrect tab. 2. Remove the check marks from the AutoCorrect features that you don't want. For example, if you enter a lot of computer code in your manuscripts, you don't necessarily want the first letter of sentences to be capitalized automatically, so you should click the Capitalize First Letter Of Sentences check box to deselect it. 3. If you want, remove the check mark from the Replace Text As You Type box to keep Words invisible hand from correcting idiosyncrasies in capitalization and spelling as you enter them. 4. Scroll through the list and take a look at the words that are auto-corrected. If you don't want a word on the list to be corrected, select it and click Delete. 5. If a word that you often misspell isn't on the list, you can add it to the list and have Word correct it automatically. Enter the misspelling in the Replace box, enter the correct spelling in the With box, and click the Add button. 6. If you don't like one of the replacement words, select the word on the list, enter a new replacement word in the With box, and click the Replace button. 7. Once you're convinced with the AutoCorrect dialog box options, click OK and OK again. The Spelling dialog box has an AutoCorrect option. menu when you right-click a misspelled word. to the family of words that get corrected automatically. 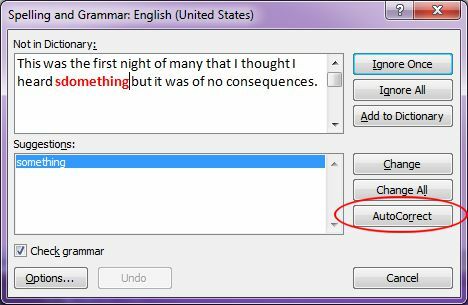 Word automatically corrects your spelling errors.